Tonight on Lifetime their critically-acclaimed hit series Drop Dead Diva continues with its second episode called, “Life & Death.” On it Jane struggles with how to behave around Grayson now that he knows the truth; Grayson represents a widower who wants to honor his wife’s last wish to be buried in her backyard, while her parents want her in their family plot; Paul buys a Rolls-Royce for $100; Kim returns to work and enlists Owen’s help representing a 12-year-old foster child who is searching for a permanent home. On tonight’s episode Jane struggles with how to behave around Grayson now that he knows the truth. Grayson asks Jane to help him with a case representing a young widower who wants to honor his wife’s last wish to be buried in her backyard, while her parents want her in their family plot. Lucky Paul buys a Rolls-Royce for $100 off Craigslist but finds it way more trouble than it’s worth. Kim returns to work and enlists Owen’s help representing a 12-year-old foster child searching for a permanent home. Tonight’s season 6 episode 4 is going to be a great one, which you won’t want to miss. 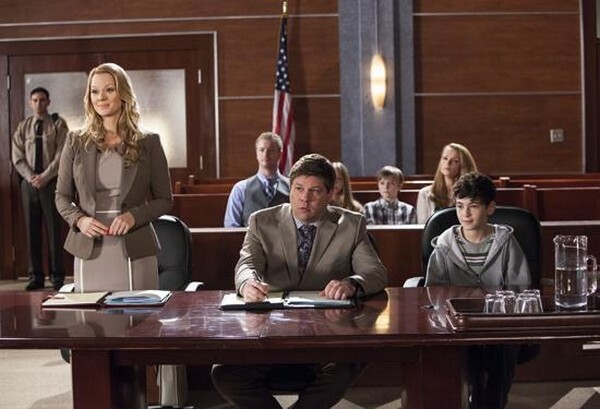 So be sure to tune in for our coverage of Lifetime’s Drop Dead Diva Season 6 season 4 tonight at 9 PM EST! Remember also to bookmark Celeb DirtyLaundry and check back here for our live Drop Dead Diva recaps, reviews, news, and spoilers!